Remember a few years back when Baby Foot hit the internet, introducing us all to the gag-worthy wonder that is foot peels? Well now, you too can make your feet shed like snakes, albeit for much less money than usual. 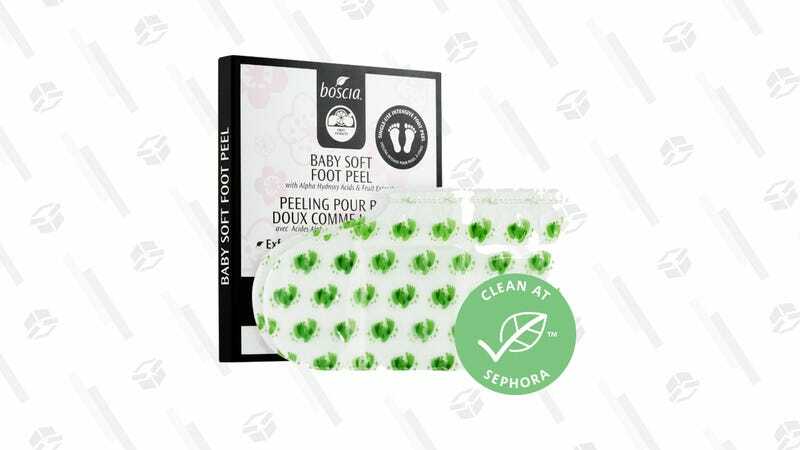 Boscia’s version of the famed peel is just $10 today — a steal when it comes to any type of foot peel. Boscia Baby Soft Foot Peel is a one-use exfoliating treatment that removes dead foot skin without harsh scrubbing. You simply slide your feet into the provided formula-filled booties for roughly 90 minutes, and mere hours later, your feet will begin to slough off those pesky dead skin cells. The result is silky smooth skin, though just a heads up, you might be emotionally scarred for life from the truly disgusting peeling process.